Our Lacanche cookers range offers a variety of premium range cookers to suit all kitchen types and styles. 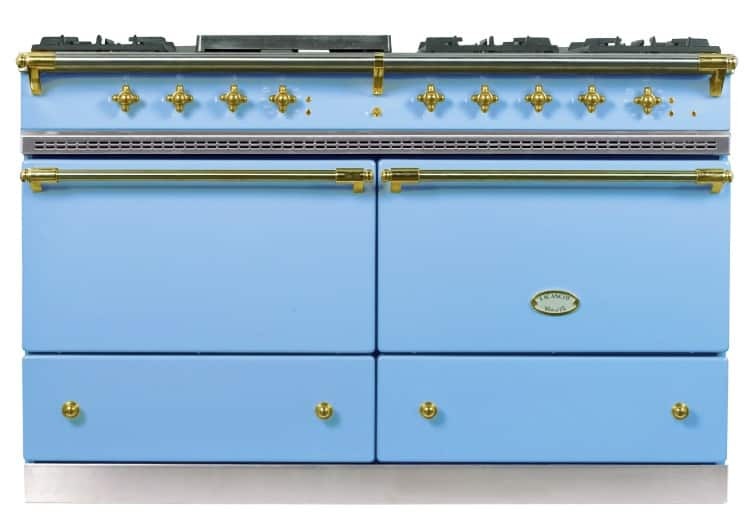 So whether you’re looking for an update of your exiting cooker, give your beloved kitchen a well-deserved ‘facelift’ or a complete kitchen refurbishment, our Lacanche cookers are certain to fulfil all our customers’ expectations, their specific requirements and acquired tastes. You can achieve a new kitchen look and feel with one of our Lacanche premium cookers at the fraction of the full kitchen refurbishment cost. Moreover, now you can make your Lancanche cooker truly your own by selecting the colour you like, handles’ shapes, door types, fuel type, width and much more. Your new Lacanche premium cooker will then be delivered to your door and installed completely FREE of charge by us. Contact us today to find out more about our Lacanche cookers and associated services.